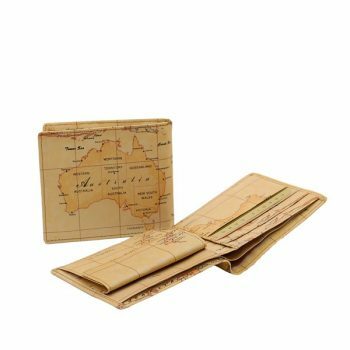 This unique and very Australian cosmetic case is made of genuine leather. 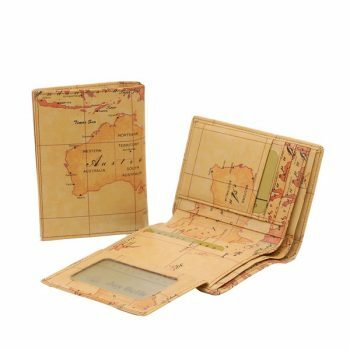 It is the ideal wallet for the who never seems to find enough room for everything they want to put in their wallet. There are 15 slots to store your credit cards, business cards and whatever other cards you like to carry in your wallet. 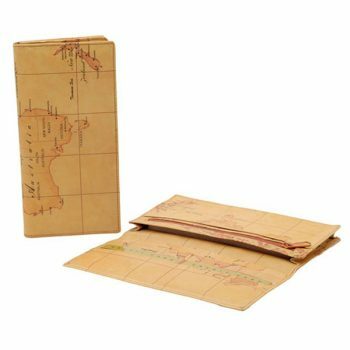 There are also two compartments where you can put your notes and coins. It clips at the front to hold everything in place and also has another clip above it to clip onto when your wallet starts to get a bit full. 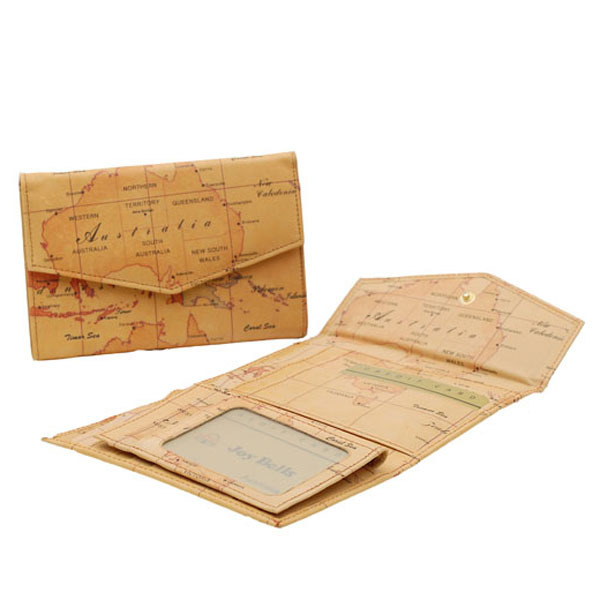 The leather has a map of Australia printed on it. 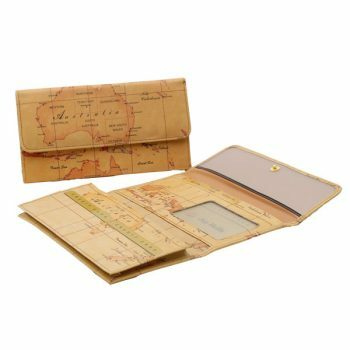 This wallet is approximately 14cm long x 9cm wide.